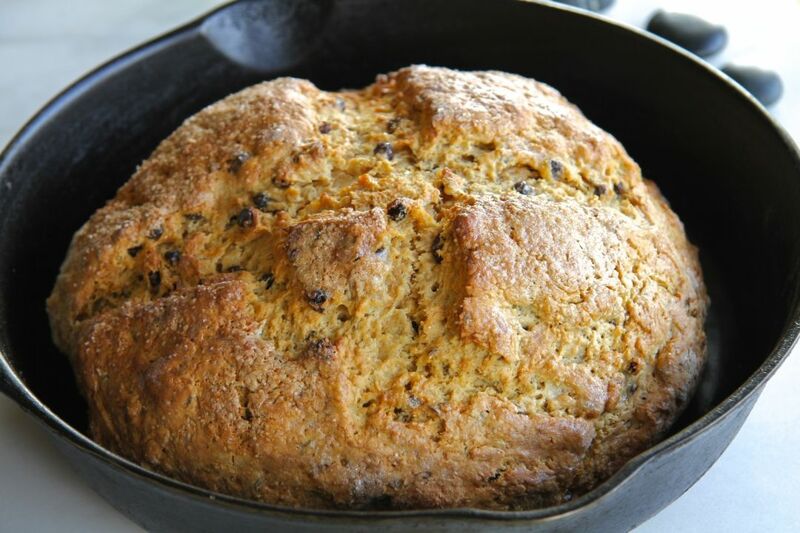 It's time for the classic Irish Soda Bread; green food coloring optional, but not recommended. St. Patrick’s Day is fast upon us. And anything related to the Irish should involve a good story, right? In this case, the Irish item is soda bread, and the story is a family legend dating back to the plaid flannel grunge era of Seattle. Story: the best recipe for Irish Soda Bread came on a postcard (of the Betsy Ross house in Philadelphia) sent from Seattle on “22Sep 1993” to Washington, DC. One of the friends, Adam, decided to learn how to make bread once they got to Seattle (their destination by default because Adam’s sister lived there and they could crash with her). My brother would rave about Adam’s homemade bread. I was jealous. My bro promised to send the easiest of Adam’s recipes, the Irish Soda Bread. “Here it is – finally! Heat oven to 350 degrees. Sift dry ingredients into a bowl. Add buttermilk, stir until all ingredients moistened. Stir in raisins and caraway seeds. Turn dough out onto floured board; knead 10 times. Form dough into round ball, place on greased baking sheet; with sharp knife cut shallow cross on top of dough (and say prayer to the Pope). Bake 50-60 minutes until golden brown – remove from oven, place on wire rack, brush top with melted butter. Since that postcard arrived many years ago, I’ve made the recipe many times. It’s super easy and super good, and always brings back great memories of family, long car trips and longtime friends.